This might just be the perfect basic chiffon maxi dress! It is simple and classy, yet has subtle details that make it stand out—and it can be dressed up or down. The Last Night Chiffon Maxi Dress With Lace Insets is fully lined except at the top back and on the lace sides, which are semi-sheer. 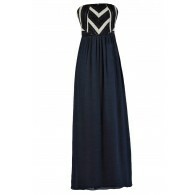 It has wide shoulder straps and a flattering V neckline. The banded empire waist continues around the back of the dress and lace insets decorate the sides and back, adding the perfect extra detail. A hidden back zipper completes this dress. The Last Night Chiffon Maxi Dress With Lace Insets would look great dressed down with flat strappy sandals or dressed up with heels. This is a beautiful dress to pack on a cruise or on vacation somewhere. You can dress it down for a more casual boho-glam vibe or dress it up with pretty jewelry and heels for a dressy formal look. Details: Lined. Hidden back zipper. 100% polyester. Hand wash cold with like colors. Do not bleach. Low iron. Small measurements: Length from top of shoulder to hemline: 56”. Bust: 32”. You have added Last Night Chiffon Maxi Dress With Lace Insets in Jade into Wishlist. You have added Last Night Chiffon Maxi Dress With Lace Insets in Jade for Stock Notification. 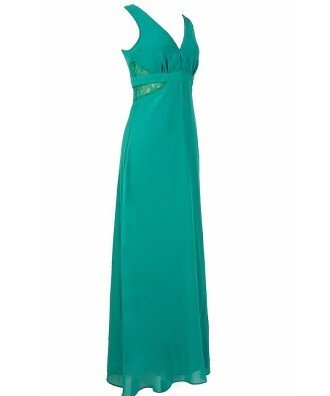 You have set Last Night Chiffon Maxi Dress With Lace Insets in Jade as a loved product. 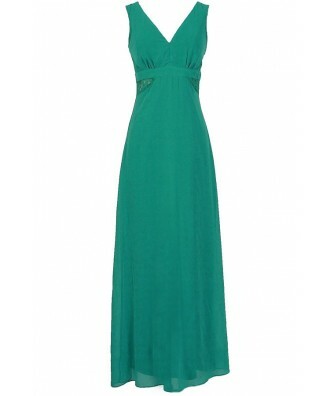 You have removed Last Night Chiffon Maxi Dress With Lace Insets in Jade as a loved product.